I sit here on my computer searching endlessly on the internet for non-cheesy, “end-of-life-season” quotes. Let me be the first to tell you – it is pretty difficult to find quotes that aren’t cheesy! Change is something that is incredibly difficult for me, so I find it very helpful when I can wrap a nice little bow on the end of a season with a nice quote or saying. The quote that I keep circling back to (after an embarrassingly long time searching the internet) is one from Winnie the Pooh. As quoted by Winnie the Pooh, “how lucky am I to have something that makes saying goodbye so hard?” Packing my room, leaving Chicago, and ultimately leaving an experience I’ve grown to love and cherish leaves me feeling pretty sad. This, however, is something that I’m okay with because I am extremely lucky to have an experience that makes saying goodbye so hard. 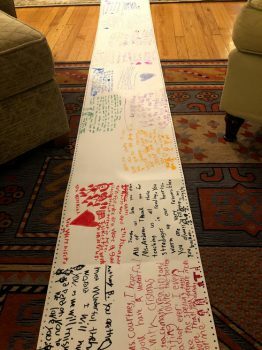 I made some of my favorite memories during my last two weeks of student teaching. First, I got to spend one-on-one time with my students, and this was special because I didn’t have as much time with each of them individually when I was full-time teaching. Second, I was able to come home from school and spend quality time with the family I’ve been living with. During the school year, I would often come home to lesson plan/grade and prep for the next day. Spending time with my house family was a special gift in this time of transition. Finally, I was able to go to my first musical – ever! This seems silly, but in high school I played in the pit orchestra – so I’ve never had the chance to experience a musical from the audience! 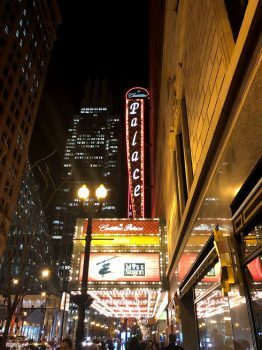 As a treat, the Chicago Semester program saw Miss Saigon at the Cadillac Place Theatre. It was amazing! The music was unbelievable and it was an awesome experience for my last big outing in Chicago! While it has been painful to transition, I am glad that I have these sweet memories to hold onto. There is no doubt in my mind that I will miss my students immensely. I have spent the last 13 weeks getting to know them deeply and forming personal relationships with them all! They cheered me up on my bad days, and they made my good days even better. They were (and always will be) my first class of students. Coming full circle to my Winnie the Pooh Quote above, how lucky am I to have something (my students) that make saying goodbye so hard? I am incredibly blessed to have served my 24 students for the past semester. I am also incredibly thankful for my cooperating teacher who sacrificed her own classroom of students in order for me to grow and learn. Ms. Ardam – someone who deeply loves her students – let me come in and deeply love her students alongside her. As I’ve been transitioning out of the classroom, I have experienced how painful this can be! With the semester coming to a close, however, I am left feeling so blessed and so thankful. Ms. Ardam and her students helped me to grow into the professional educator that I am today. Without them, and without this experience, I would not be so confident going on to graduate and become a real teacher. Chicago Semester has been a truly wonderful experience. 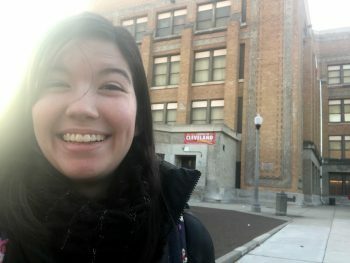 I took a gamble adding on a 9th semester to my college career to move to Chicago to complete my student teaching internship. Throughout the entire process, I have been supported by the Chicago Semester staff and the other student teachers in my cohort. I am leaving Chicago Semester feeling equipped and empowered to enter the education world as a professional. Saying goodbye to everyone will be so painful, but again – how lucky am I to have something that makes saying goodbye so hard? If you’ve come to know me (or my writing style) at all, you will note that I do not like leaving anything on a negative/sad note! So, to pick up the pep a little bit in this last blog post, I thought I would sign-off by giving you a quick life update. Upon completion of the Chicago Semester Program, I will be moving back to Grand Rapids, Michigan! At this time, I have accepted a first-grade maternity leave position at West Side Christian School that will begin in March. After this position, I will be looking for full-time teaching positions in Grand Rapids. Eventually, I hope to move back to Chicago to teach in CPS after I have a few years of teaching under my belt. Until then, thank you so much for coming along with me in this experience! It truly has been a gift from God and I’m so grateful I was able to share my experience with you.